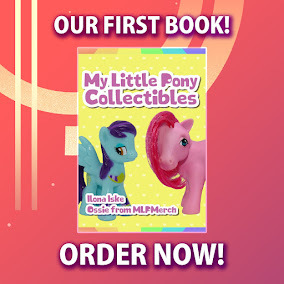 Here on this page you'll find an overview of all My Little Pony Friends Forever Paperback Issue νm; 7 Comic Covers, with a total of 1 release. You can click on the Friends Forever Paperback Issue νm; 7 Comic Covers images to zoom in or click on any of the links under the images to see more releases of that type. Summary: Four tales of friends and fun! Rainbow Dash wakes up to discover that her wings have vanished, so it's up to the relatively newly-winged Twilight to help her friend. Then, Shining Armor will have his hooves full when Prince Blueblood gets involved in a sensitive diplomatic mission. Plus, it s cider season and things are busy at Sweet Apple Acres! 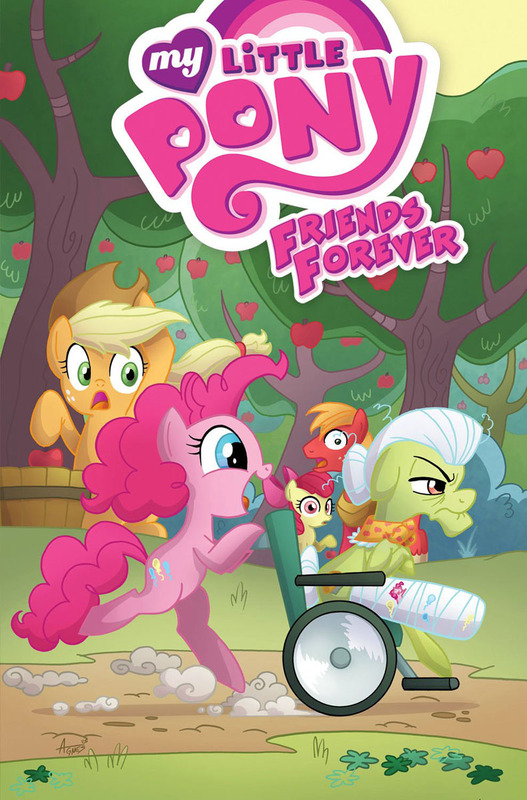 Unfortunately, Granny has broken her hip and Pinkie Pie is called in to look after the cantankerous elder! And finally, The Cutie Mark Crusaders visit Canterlot. When their appointed guardian is summoned away, it s up to Princess Luna to watch over the precocious fillies. Collects issues #25 28."